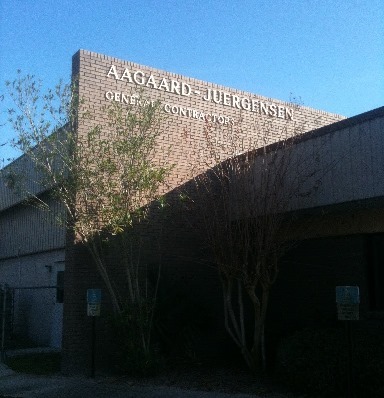 Aagaard-Juergensen (AJC) is a full service construction company that has a wealth of experience in construction of all types; from a minor metal building repair project, to a complete installation of Design/Build Services for a brand new multi-million dollar ground up construction project. We have a tremendous amount of passion for our work, and we give more to a project than we take away. AJC has been in the construction industry in Central Florida since 1970, and we have established reputation second to no other contracting group in our region. We have built incredibly strong relationships and have completed hundreds of projects with the highest quality sub-contractors in Central Florida to provide our clients with the finest quality construction. Building a construction project can be straight forward, it’s the permitting and design that can be complicated and we have the seasoned experience to educate our clients about the challenge in getting any construction project started and completed. A very big percentage of our work is for repeat clients and referrals from past clients. We build trust by working on an open book basis showing where all the project’s cost are. We have never had any litigation with any of our clients. We focus on what it takes to finish the job with a sense of urgency in Design, Permitting, and Construction. AJC is known as one of the most successful client advocates in the Commercial General Contracting industry, so every job, every project, is a priority from day one. If excellence in architectural design, planning, mechanical and structural engineering, and building experience is crucial to your next building project, then you’ve stopped at the right place.